Misty's Midnight Moon, nicknamed Emmy, is the second foal of Misty Moon Dancer. She is the first known solid black pony in the Misty line. She was born on the Hagquist's Rocking H Ranch in New York. Her arrival was announced in the Chincoteague Beachcomer, published during Pony Penning. She is trained to ride and drive and has won ribbon at shows. The Hagquist's sold her in 2014 to a therapeutic riding program in New York. She was also a pony ride pony at Animal Adventure Park. 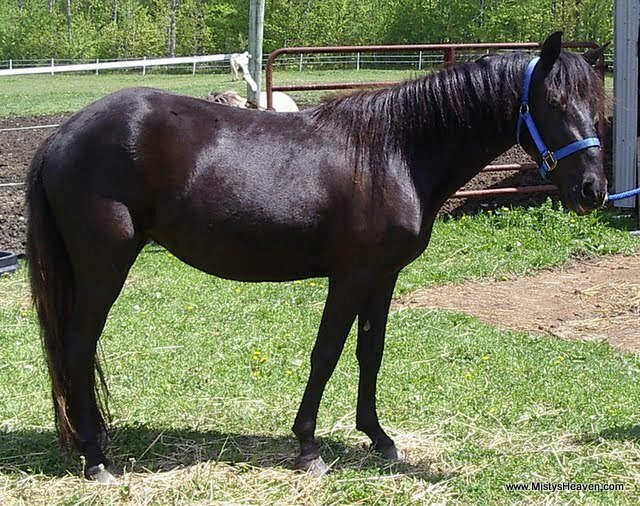 Emmy had her first foal in 2011, a black pinto gelding by Misty's Storm that was named Misty's Midnight King.